Workers’ compensation pays hospital and medical expenses that are necessary to diagnose and treat your injury. 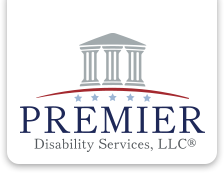 However, it also provides disability payments while you are unable to work, and could potentially pay for rehabilitation, retraining, and other benefits as well. This includes but is not limited to: construction accidents, warehouse/manufacturing accidents, office accidents, and injuries sustained from a slip and fall while working. If you’ve been injured in a work accident, contact us for a free evaluation at 888-878-4368 to see what benefits you may be eligible for.